DIY Home Security You'll Regret missing out - Tips - Alfred Center | get the most out of the best home security app! ---- Set up your DIY home security camera in JUST 10 MINs. 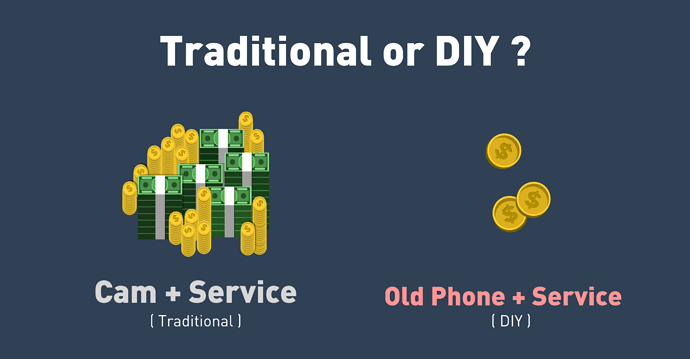 Think about a DIY home security system on your old smartphones, saving thousands of dollars every year. Simple but powerful. All you need are your old smartphones, an app called Alfred Camera, and your Gmail account. Don’t bother yourself with all the complicated installations and expensive bills. Read on to get the best DIY home security solution! Are you worried about burglars breaking into your house, stealing all of your precious properties, damaging the facilities or even hurting your loved ones while you are away? A house without any protection is like a sitting duck. You might consider hiring an alarm company monitoring your house 24/7. However, if you are on a tight budget and just trying to make ends meet, it’s probably not the most cost-effective way to secure your home. Is there any wallet-friendly solution to protect your loved ones? The answer is yes and that is Alfred, a DIY home security app developed to secure your home, store, dorm, apartment, garage, garden, backyard, driveway with nearly zero cost. As long as you have at least 2 smartphones on hand, you can start to DIY your home security system with Alfred. 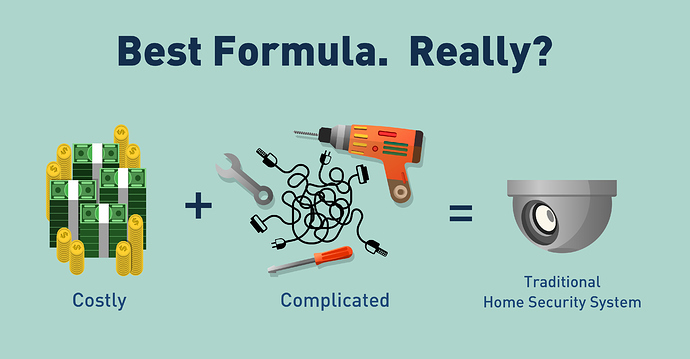 The number one reason to use a DIY home security system, instead of hiring an alarm company, is money. A professional home security system is going to cost you an arm and a leg, and it will end up putting tons of pressure on your family’s finances. The average cost for setting up a new in-home security system can range from $300 to more than $1200, and it doesn’t even include the monthly fees. Alfred is a much more affordable option that helps you turn your old smartphones into home security cameras. 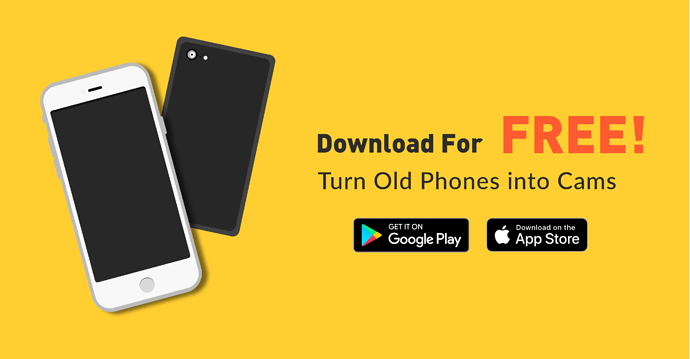 You invest almost nothing in equipment installation because all you have to do is to take out the dusty old smartphones piled up in your drawer and install Alfred on them to give them second lives. The main cost for traditional home security system comes from the monthly monitoring fees. The fees averaging around $30 per month can almost cover the expense of Alfred’s subscription plan for a WHOLE YEAR! Looking for more information about subscription plan? Alfred Premium: Every Moment in Clarity! First swipe: download Alfred on at least two of your smartphones. 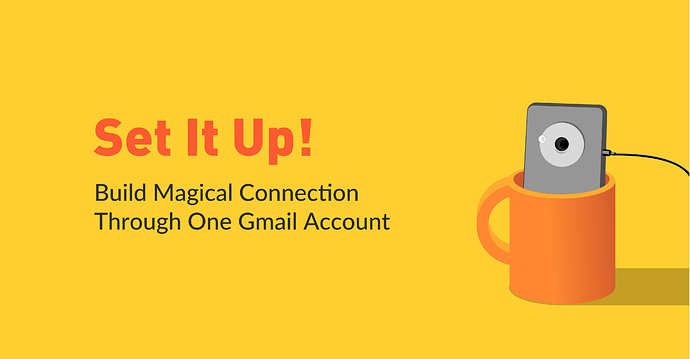 Second swipe: log in to Alfred with the same Gmail account. Third swipe: set up one as Camera, then you can begin to monitor your home on the other one. It’s so easy that you can start to take control of your own security system within 30 minutes, unlike the traditional timeframe of a few days. Thanks to the wireless technology, Alfred is extremely mobile. You can point your DIY security cameras at wherever you want, which is convenient for renters who have to move from place to place. Looking for details for setting up or ideas to place your security cams? Alfred says “One More Step!” What’s next? Alfred’s 100 Poses: Be Creative! Although Alfred is an economical option, you’re not sacrificing quality or labor. Alfred is a thoughtfully developed app which allows you to put your mind at ease. With Alfred’s motion detection function, your DIY security cameras are able to notify you of what’s going on when they capture motions on the screen, so you can concentrate on your work wholeheartedly. Rest assured, most phones run perfectly while monitoring and the quality is professional grade. Alfred wants your money goes where it’s best spent and helps you be relieved of your fear of burglars. With the help of Alfred, you no longer have to let fear control you. START TO DIY YOUR HOME SECURITY SYSTEM NOW! Do you have more tips on DIY home security? 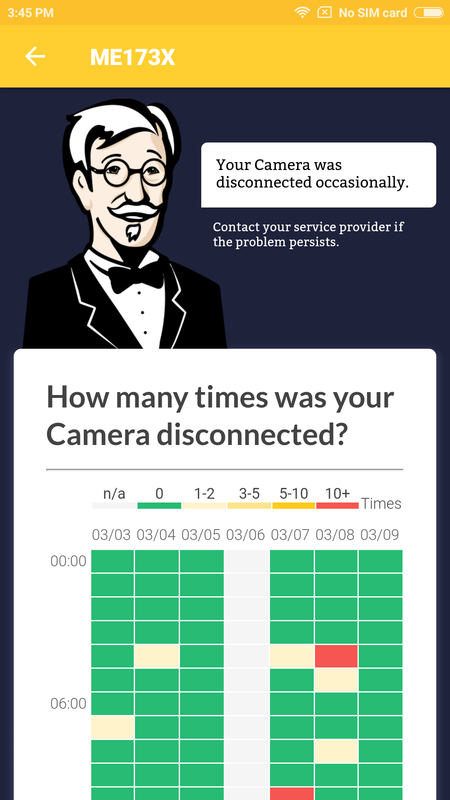 Have more stories and hacks of using Alfred Camera? Please leave your thoughts in the comments below. Peace! Alfred's 100 Poses: Be Creative! Windows version for the Alfred camera app? To Reduce Disconnection Issues for iOS Cameras: Enable "Guided Access"
How do I use the WebViewer on a computer? Let Alfred hear your VOICE! Vote for Alfred’s Next Feature! There are already free alternatives that are PC based if you want to use your PC/webcam . Do you have an old smartphone? Just turn an old smartphone into a camera, that’s what Alfred can do for you, and for me, already! For the moment, you can only turn smartphones/tablets into Camera devices and monitor from Alfred’s WebViewer. You can’t use PC/laptop webcam as Camera yet. This is something we might develop in the future. Please continue to support Alfred and stay tuned! Loss of connectiin working fine past 4 months, is there some sort of fee you have to pay to keep service? For some reason Alfred is not acknowledging the second device? I’ve installed on 2 devices and logged in with same email but I’m still getting the “one more step” for setup message on both devices. Any input on this? Thanks for the advice. I’ll try clearing the cache and then restarting it. @dmthiessen66 please read this link. I installed Alfred on 2 phones but it keeps telling me "You are just one step away"
First uninstall/reinstall on both devices. Make sure you log into Google play using same email as on both devices being used. If this doesn’t do it it’s usually an issue with the devices. PC/laptop as a security camera 'NOT ALFRED"
But for me, Alfred was the easiest to set up. After just two days I upgraded to the Ad-free for $16.99. I believe it was one of the better investments. I feel safer, more secure when I’m away and I am helping support Alfred. @danney2277 I agree. I’m just saying for the PC laptop which isn’t available for Alfred yet, there are alternatives. Why must i have service on my old smartphone also?